In this second edition, we present to our customers the new bamboo linen shirts for men, white, caqui and blue colors, sizes S, M, G and XG. 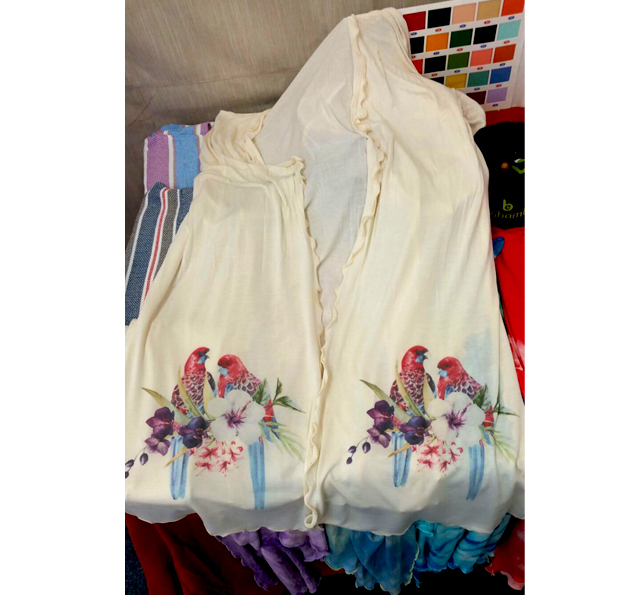 The long and short dresses for lady, are also made with the same fabric. Both garments besides being very elegant, are very fresh and strong. The BZ closed fabric is a new development which will replace the BZ 36 and BZ 50. 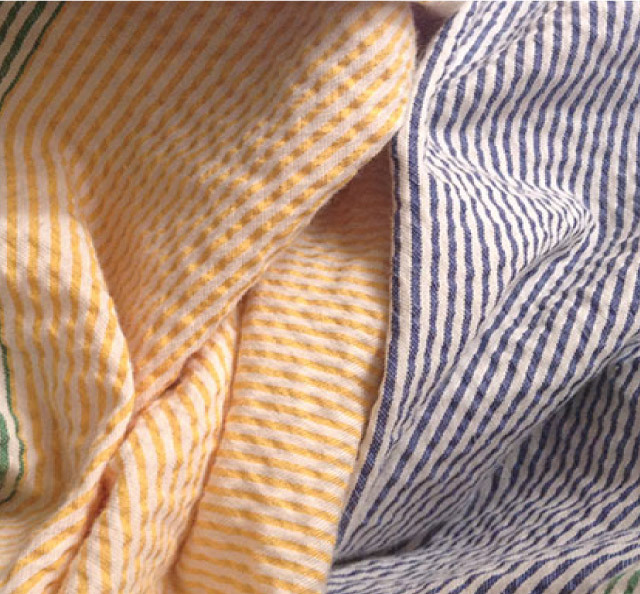 We had very good reviews about this new fabric. Thank you to all our customers! Thank IM Intermoda! See you next year! 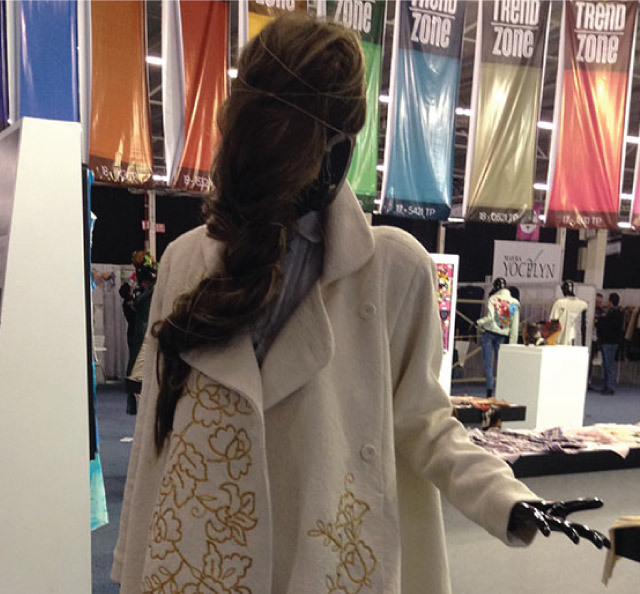 In this edition of IM INTERMODA, we show to the public and our regular customers, our new developments. Pants made with fabric Bricot or Panilla, for men and women. The same fabric is used to make the famous brand pants SCAPPINO. 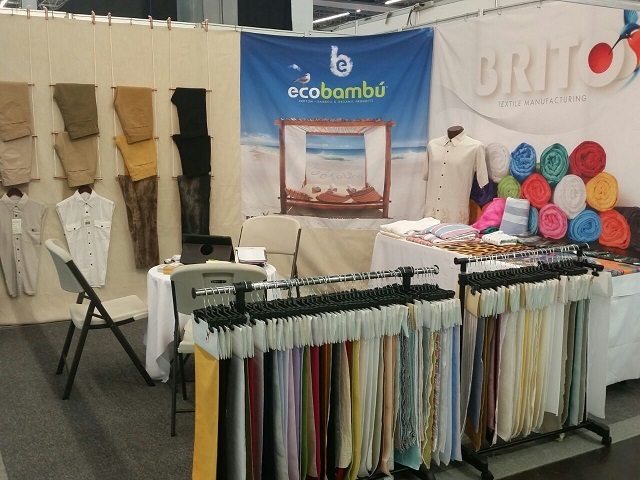 We also had the opportunity to submit with Ecobambu, new clothes made from bamboo fabric: Pashminas and bags. Both are products very fresh, soft fashion and are dyed in black, gray and red. They are ideal for use at the beach or in warm weather, in addition to your beach outfit. Thank you to the IM Intermoda team for their attention and congratulations for organizing the event, see you at the next edition! Purchase since 1 meter of fabric online and do your payment by OXXO ! On page 33 of this issue, we can see the advertisement in which the customer is invited to visit us at www.textilesbrito.com, to buy from 1 meter fabric! . Also offering the following forms of payment: Oxxo, Visa, MasterCarda, PayPal, Credit and Bank Transfer. 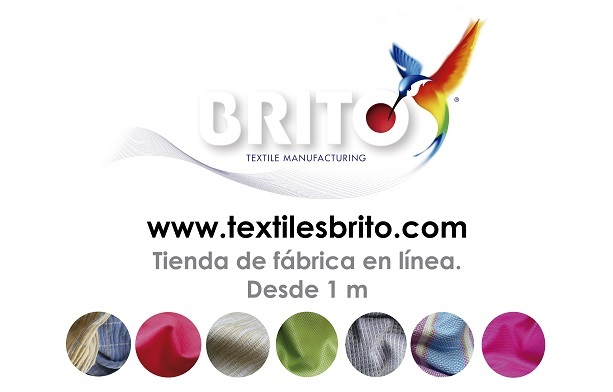 Textiles Brito, a company that was born in Puebla in 1969, is another fighter. It sold for 30 years, only three kinds of fabrics used for bags pants. But Asian imports began to beat his niche, and Miguel Brito, director business, had to find new products to compete. With that in mind, he traveled in 2005 to the Canton Trade Fair in China. There is interest in the bamboo yarn, a hypoallergenic material antibacterial, it absorbs more water than cotton, It has a silk-like sheen and insulates the body temperature. In that thread, Brito developed a new fabric and created the Ecobambu brand with a product line already completed, such as towels for spas and hotels. " "It was to add value to our product - says Brito - Sell a meter of fabric is much more difficult to go out and say.." I sell a sweatshirt "or" I sell a gown "Your product is innovative, he says, because their towels saving up to 25% water in the laundry. " This collection was developed under the concept of archaeological sites in Mexico, and the colors used in the weaving and embroidery, ranging from neutral to earth tones. The embroidery is handmade in Hueyapan Puebla, and photographs were taken in Cantona, also in Puebla City. This Collection was made with Bamboo fibre ( Brito Textile ) with traditional embroidery techniques. 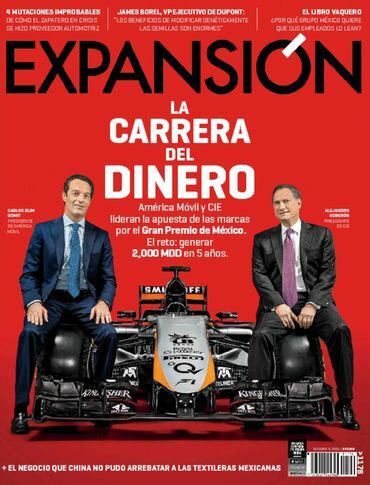 Check out what this important magazine said about us. MAGIC offers one of the best platforms for the main players in the fashion industry, getting together under the same roof and showing their products. Besides connecting comercial partners, Magin is also adressed to share and generate knowledge. 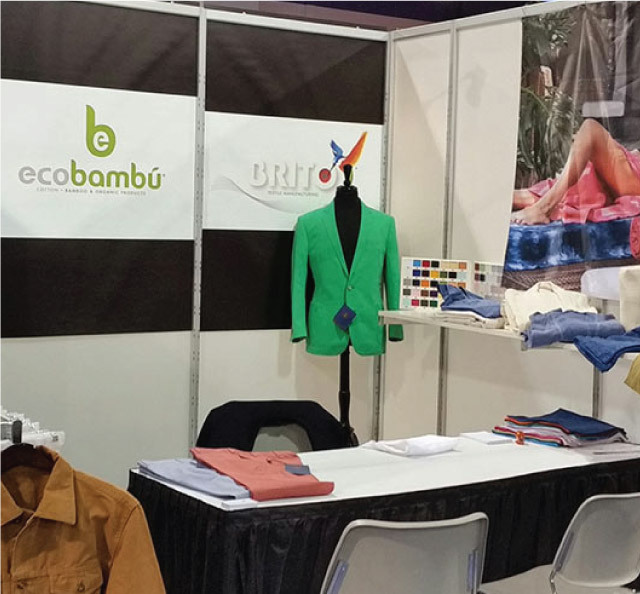 Here at Brito Textile we are concerned about giving Mexico a very high reputation and this event isn’t the exception. Our new foreign clients were very surprised by the quality of our fabrics. IM Intermoda is the most important fashion industry event in Mexico, with headquarters in Guadalajara, Jalisco and it’s been around foro ver 30 years. It’s also recognized as Latin America’s most important design trends exponent. 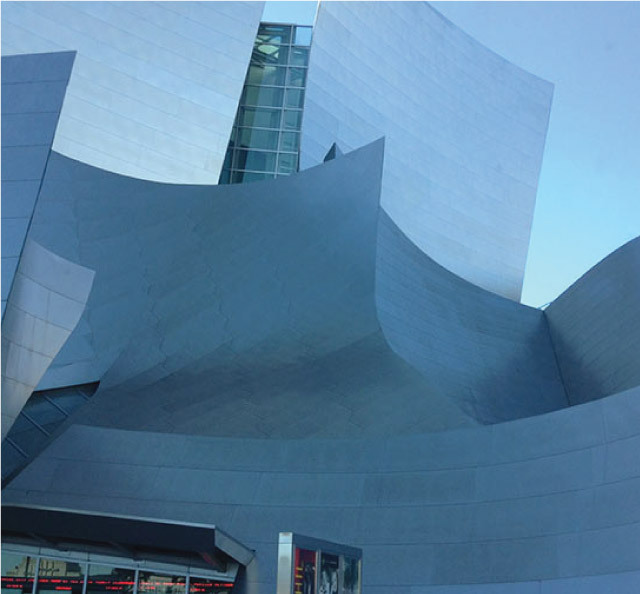 Commercial Mission organized by ProMéxico for textile and confection at Los Ángeles, California. Brito Textile participated with the main goal to broaden it’s market opportunities and to strenghten commercial relationships with our regular clients. 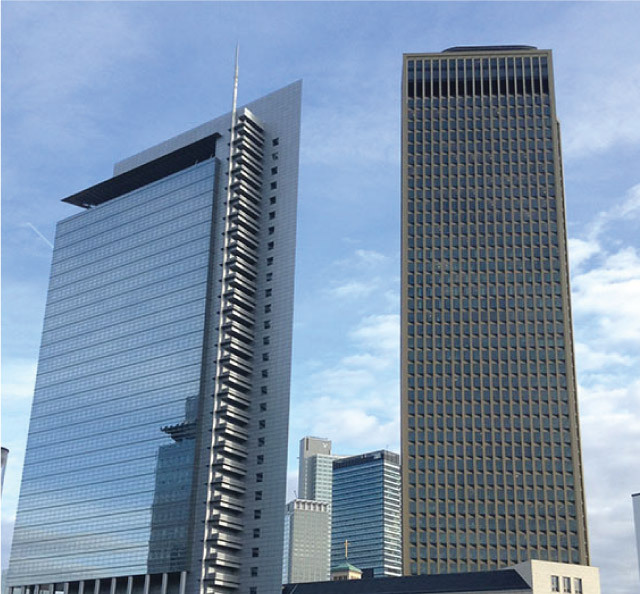 We attended several business meetings with local and global clients, looking for new exports. March 11th to 14th 2014. 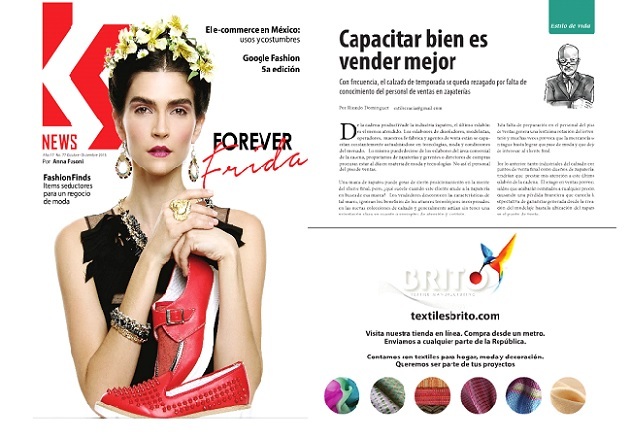 EXINTEX is Mexico’s most important internationl texile exhibition and one of the best in Latin American. It’s an event for textile industry that has been organized by the “Asociación Nacional de Empresarios Textiles y la Cámara de la Industria Textil en Puebla y Tlaxcala” for more tan 18 years as a business platform and a change agent. At EXINTEX you’ll find fibers, yarns, cotton, polyester, special fibers, all kind of knits, chemical products, specialized machinery and spare parts. Brito has been exponent in this important event for many years. Our goal on each new edition at Intermoda, is to offer new propositions to our clients, in order to fill their expectations. It is a pleasure to us getting attention from many designers who want to get a look to our new fabrics.